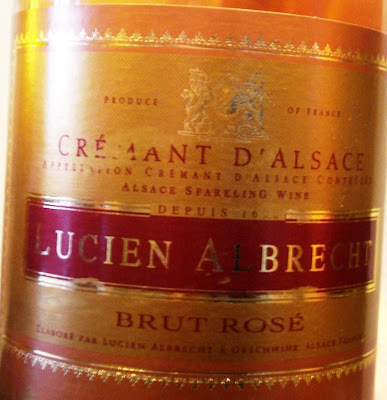 This is yet another great example of the extraordinary sparkling wines that are produced throughout France, and a perfect bubbly for the foods of the season, too. The nose is rich with aromas of ripe cherries, homemade strawberry jam, and the slightest hint, surprisingly, of tarragon hovering in the background. The palate sings with more ripe red cherries, wet stones, and something a touch smoky. All of this is brought to even more vivid life with a singing acidity that’s both bright and perfectly balanced. I almost want to have a barbecue this afternoon for no other reason than to throw some salmon on the grill to enjoy alongside this. What a well-crafted, thoroughly gulpable wine. Pinot Auxerrois and Pinot Blanc.